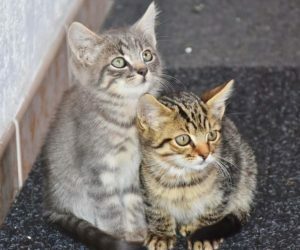 Our Community Cat Program is seeking enthusiastic, reliable volunteers to assist with many aspects of the Trap, Neuter and Release (TNR) initiative currently operating on the Animal Services campus. These are opportunities available through Best Friends Animal Society Community Cats Program and not Osceola County Animal Services. Opportunities available: Click on the opportunity to see the full description. All Best Friends volunteers must be at least 18 years of age. Best Friends volunteers will register and receive any necessary documents through Best Friends and not Osceola County Animal Services. Best Friends will conduct all of their own training and learning exercises. All Best Friends Animal Society volunteers report to that organization and follow their rules, policies and procedures. Additionally, all visitors to the Osceola County Animal Services campus are expected to abide by the general rules of conduct and behavior of the organization.